The Breaking Into Wall Street (“BIWS”) membership site, as well as the articles, videos, and other resources on Mergers & Inquisitions (“M&I”) are a service offering of Capital Capable Media LLC (“Capital Capable Media” or “CCM”), and references in this document to “us,” “our,” and “we” refer to Capital Capable Media. Our website addresses are: https://breakingintowallstreet.com/ and https://www.mergersandinquisitions.com. A) What Personal Data Do We Collect from You? 1) Comments on the Sites. When visitors leave comments on our sites, we collect the data shown in the comments form (name and email address), and also the visitor’s IP address and browser user agent string to assist with spam detection. Your profile picture will also be visible to the public in the context of your comment, if you have chosen a photo. 2) Opt-In to Banker Blueprint or “Free Tutorials” Newsletters. We collect the name and email address you enter if you sign up for one of our newsletters. 3) Transactions. If you purchase a product or service on either site, we collect your name, email address, billing information, and payment source. 4) Opt-In to Product-Specific Newsletters. If, after purchasing a product or service here, you double opt-in to confirm that you want to receive additional information about the product/service, we collect your name and email address. 5) BIWS Lesson Completion, Note, Quiz, and Certification Data. If you complete lessons within the courses offered on BIWS, or you enter notes on the lessons, take quizzes, or receive certificates there, we retain this data. 6) BIWS Site Usage Data from FullStory. We use a service called “FullStory” (https://www.fullstory.com/) to track your interactions with the BIWS site, such as the links you click on, the files you download, and your web browser and geographic location. B) What is the Purpose of Processing Your Personal Data? 1) Comments on the Sites. To allow you to ask questions and receive answers. 2) Opt-In to Banker Blueprint or “Free Tutorials” Newsletters. To provide you with information on our courses and services and to send promotions that are closely aligned with the topics in which you have indicated your interest. 3) Transactions. To process a purchase you make with us. 4) Opt-In to Product-Specific Newsletters. To provide you with information on how to best use the course you purchased and to send promotions that are closely aligned with this purchase. 5) BIWS Lesson Completion, Note, Quiz, and Certification Data. To help you complete the courses more efficiently, test your knowledge, and track your progress. 6) BIWS Site Usage Data from FullStory. We collect this data primarily to resolve technical problems with the site, such as browser bugs and parts of the site that do not work for certain users. We also use it to review how users, in aggregate, interact with our sales and promotional material (e.g., the percentage of users that read the entire page before purchasing). C) What Legal Basis Do We Have For Collecting and Processing Your Information? Websites must have a legal basis for collecting information from individuals located in the EEA. Our legal basis for each of the ways we collect information from you is as follows. Please note where consent forms the basis, you can withdraw consent at any time by contacting our support team at accounts@breakingintowallstreet.com or opting out of any email message using the “Unsubscribe” link. 1) Comments on the Sites. We have an allowed legitimate interest in providing a response to your questions and need to use your data to do so. We will not use the data for other purposes. 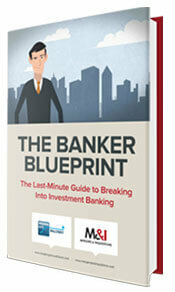 2) Opt-In to Banker Blueprint or “Free Tutorials” Newsletters. We will ask for your consent first. 3) Transactions. We will collect your information as part of a legal contractual transaction. 4) Opt-In to Product-Specific Newsletters. We will ask for your consent first. 5) BIWS Lesson Completion, Note, Quiz, and Certification Data. We have an allowed legitimate interest in providing you with a way to track your course completion progress and test your knowledge along the way. We will not use the data for other purposes. 6) BIWS Site Usage Data from FullStory. We have an allowed legitimate interest in resolving technical problems and bugs on the site and reviewing user interactions to improve the overall site experience. “Legitimate interests” for processing your personal information exist where you submit the information with an expectation that it will be processed and there is no undue impact on you. If you disagree or have questions, please contact us at accounts@breakingintowallstreet.com and we will cease the processing of your data under this legal basis. D) Who Has Access to the Data We Collect? Financial transaction processors (processing your payments). Website design and programming services. These third parties have signed contract with us in which they are prohibited from utilizing, sharing, or retaining your personal data for any purpose other than we dictate. A cookie is a very small text document that often includes an anonymous unique identifier. When you visit a website, that site’s computer asks your computer for permission to store this file in a part of your hard drive specifically designated for cookies. For example, we use Google Analytics to track data such as time spent on site, the most popular pages, and the most common keywords used to find our sites. We retain user data for 26 months in Google Analytics, which is the default policy. This tracking is done to provide us with information on how people use the sites, what is of interest to them and what is not, how our marketing is performing, and incidental items such as the percentage of users who access the site from a personal computer versus a mobile phone. You may block or delete cookies by adjusting your browser settings or by responding to the cookie consent notice that appears when you visit our sites. 1) Comments on the Site. As long as your account remains open and you do not request a cancellation or refund, we retain this data because it is intended to help you complete the courses more effectively and receive answers to your questions. We will not use the data for other purposes. We keep comments on M&I unless you have specifically made a request to delete them. 2) Opt-In to Banker Blueprint or “Free Tutorials” Newsletters. 36 Months. 3) Transactions. Due to U.S. tax/audit requirements, we must retain transaction data indefinitely. 4) Opt-In to Product-Specific Newsletters. 36 Months. 5) BIWS Lesson Completion, Note, Quiz, and Certification Data. As long as your account remains open and you do not request a cancellation or refund, we retain this data because it is intended to help you complete the courses more effectively. We will not use the data for other purposes. 6) BIWS Site Usage Data from FullStory. 2 Months. If you wish to have your data removed from one of the categories in which the holding period is “indefinite” or “as long as your account is open” (items #1, #3, and #5 above), please contact us at accounts@breakingintowallstreet.com and we will process this request for you. In the case of item #3, Transactions, we must retain the original purchase record, but we will anonymize it by removing your name and billing information. To exercise any of these rights, please contact us at accounts@breakingintowallstreet.com with your request. Wherever we have asked for your consent to collect or process your personal data, you have the right to withdraw that consent. Alternatively, you can contact us at accounts@breakingintowallstreet.com with your request. I) Do We Transfer Your Data To Third Countries? In order to provide you with the Services you subscribe to or that you request from us, your Personal Information will be transferred to the United States as that is where Capital Capable Media is based. In some cases, your Personal Information may be accessed from other countries outside the United States, including when you consent and allow us to do so, where it is required in order for us to provide Services to you and when we need to do so to provide functions like product support, troubleshooting and gaining insights into the usage patterns of our Services. When your Personal Information is transferred to the United States and other countries, you may not have the same rights and protections as you do under local law. Any international transfers of your Personal Information will be done in accordance with applicable law. A) Do Not Track Signals. If you are an individual under 18 and have provided personal information or content to us in some manner, you have the right to request the deletion of that information pursuant to the “California Eraser Law.” Contact us to make such a request at accounts@breakingintowallstreet.com. B) Legal Disclosures of Personal Information. You may leave comments on our websites. Please remember that any information you provide is not private. The information can be viewed by anyone online, including family, friends, the media, investigators, and potential employers conducting background checks. If you wish to remove a comment you have previously left, please contact us at accounts@breakingintowallstreet.com with your request. Should we sell these sites or our entire business, your personal information will be an asset transferred to the new owner.